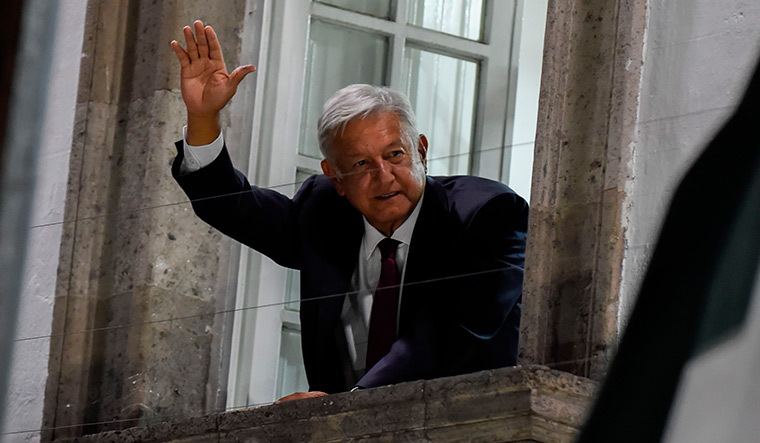 THE LANDSLIDE VICTORY of Andres Manuel Lopez Obrador (Amlo) in the presidential elections held on July 1 is the beginning of a new chapter in the modern political history of Mexico. This is the first time a radical leftist outsider has become the president of the country, which had been under a one-party dictatorship of the Institutional Revolutionary Party (PRI) for 77 years, and a two-term reign of the centre-right National Action Party (PAN) from 2000 to 2012. Amlo trounced both the mainstream parties as the candidate of MORENA (Movement for National Regeneration, a new political party he created four years ago) in alliance with a few other minor parties. He got 53.4 per cent of the votes while his party and its partners secured an absolute majority in both houses of the Congress, besides winning several state governorships and municipal mayor posts. The voters have given a clear mandate for Amlo’s leftist agenda, which promised profound transformation. The sweeping win would have made M.N. Roy, one of the cofounders of the Communist party of India and the Mexican Communist Party, proud. During his stay in Mexico from 1917 to 1921, Roy was involved in Mexican politics and was an active member of the Mexican Socialist Party. He wrote articles in El Socialista and was a director of the newspaper. Later, he got converted to Marxism and cofounded the Mexican Communist Party in 1919. He had represented Mexico at the Third Congress of the Communist International held in Moscow in 1920. The Mexican government had given a diplomatic passport to Roy with a Mexican name to facilitate his secret travel to Moscow. Amlo is a fiery anti-establishment crusader, fighting against the corruption of the ‘power mafia’ of the political and business oligarchy. He is an ardent leftist with an agenda for the uplift of the poor, emancipation of the indigenous people and the reduction of inequality in society. He has proposed to increase financial aid for students and the elderly. He said he would lower the salaries of top officials and give those at the bottom a pay increase. He has promised to sell the presidential planes and turn the presidential palace into a public park. Amlo practises what he preaches by living an austere life. He had set an example by taking a lower salary when he was the mayor of Mexico City from 2000 to 2005. He flew in economy class during his campaign. As mayor, he drove an old Nissan and used to arrive at his office before sunrise. Although Amlo started his political career in PRI, he got disillusioned with its corrupt practices and joined the Social Democratic Party (PRD) and contested as its candidate in the last two elections. When there was dissension in PRD, he left and created MORENA in 2014. The right-wing media and some big businessmen had scared the voters saying Amlo would become a Mexican Chavez and destroy the country as it happened in Venezuela. Although Amlo is well known for his eccentricities, tantrums, and egoistic and authoritarian streaks, he has now become more sober, sensitive and pragmatic. He had proved his credentials as an effective administrator when he was mayor of Mexico City. He brought about a number of reforms and welfare policies to benefit the disadvantaged. He improved the infrastructure and heritage preservation in collaboration with the private sector. He left the office with high approval ratings and a reputation as one who could get things done. Amlo does not have any messianic illusions to change the world like Hugo Chavez or aspiration to become a regional and global leader, as Lula of Brazil tried. His focus is on domestic issues. The main obstacles for his development agenda are drug trafficking and violence. The truth is, Mexico is a collateral damage victim of the American addiction to drugs and guns. 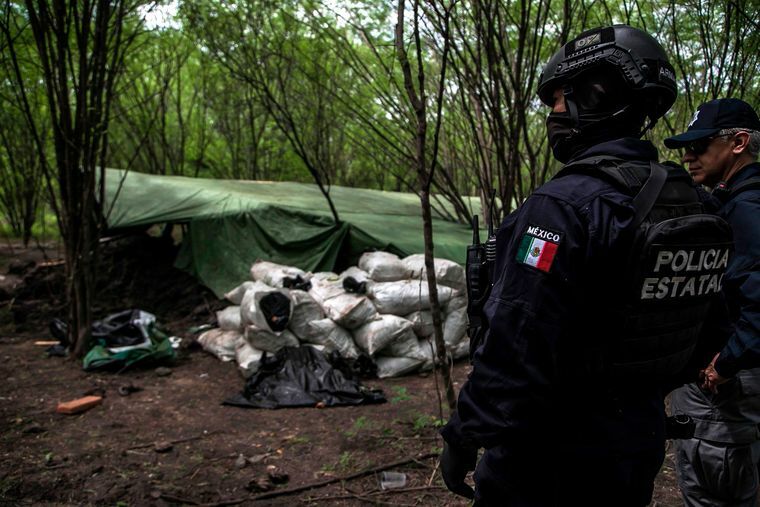 The drug trafficking and gang violence in Mexico are driven by the continuing large scale consumption of drugs by the Americans and the illegal smuggling of weapons and dollars into Mexico from the US. Unless and until the US government does something to stop or reduce these, Mexico would continue to pay the price for American sins. Amlo might legalise drugs as some Latin American countries and some of the US states have already done. He will not repeat the mistake of former president Felipe Calderon, who chose to do the dirty work for the US Drug Enforcement Agency by an all-out war against the cartels. Calderon’s policy backfired and the violence has got worse. Amlo’s immediate external problem is US President Donald Trump, who has been humiliating Mexicans with his insults and anti-immigrant rants. In fact, the Trump factor had triggered more support for Amlo on the perception that he would be the one to stand up to the northern caudillo. Among the several books Amlo has authored, there is Oye, Trump, in which he accuses the US president of speaking about the Mexicans the way Hitler referred to the Jews. He has warned, “Mexico will not be a piñata [a brightly decorated figure of an animal, smashed by children during festivals] for you... no threat, no wall, no bullying attitude from any foreign government.... We will defend, without condition, the right of our nationals to earn a living anywhere in the world, with their honest work." For Amlo, migration is a human right. While these statements have received predictable scorn from Trump supporters, the US president tweeted a congratulatory message to Amlo. “I look very much forward to working with him. There is much to be done that will benefit both the United States and Mexico,” wrote Trump. Amlo said Trump’s telephonic conversation with him was “respectful”. Amlo's victory is a much needed moral boost to the Latin American left which has suffered upsets in Brazil, Argentina, Paraguay, Peru, Chile and Colombia, after having swept to power in the first decade of the century, riding on a pink tide and anti-neoliberal backlash. The conservatives were too quick to announce the “failure of socialism” and scare the people with the example of Venezuela, which is in a hopeless mess. The Venezuelan disaster is not a socialist failure. It is a unique Bolivarian tragedy caused by Chavez and his incompetent successors. Socialism continues to do well in Uruguay and Bolivia, which are marked by economic growth and political stability. In any case, socialism will continue to be the beacon of hope for the millions of poor in Latin America, which has the highest income disparity in the world. But if the left does not deliver or goes overboard with corruption or other excesses, the masses will vote them out, for sure. Mexico, the second largest economy of Latin America, has overtaken Brazil as the top destination for India’s exports, worth $3.8 billion in 2017-18. India’s exports to the distant Mexico are more than its exports to neighbours and traditional trade partners such as Thailand, Iran, Egypt, Russia or Canada. Mexico is the second largest global destination of India’s vehicle exports, worth $2 billion last year and was ranked number one in the previous years. But, the Indian exporters are at a tariff disadvantage vis-à-vis their counterparts from 46 countries with whom Mexico has signed free trade agreements. It is imperative that the Indian government negotiate an FTA with Mexico to get a level-playing field for Indian exporters. There are over a hundred Indian companies which have invested in Mexico in sectors such as pharmaceuticals, auto parts and IT. Mexican firms have also invested in India in areas such as theme parks, multiplexes, auto parts and food processing. India imported crude oil worth $2.8 billion dollars last year from Mexico. There is tremendous scope to increase trade and business ties in the coming years. The priority of the Amlo administration would be to reduce the overdependence on the US and diversify economic relations by reaching out to promising markets like India. They would also be keen to forge stronger political relations with India, an emerging global power. It is time to revive the spirit of “A tale of two gardens”, a poem written by Octavio Paz, the Mexican writer, Nobel prize winner and ambassador to India. Viswanathan was ambassador to Latin American countries.